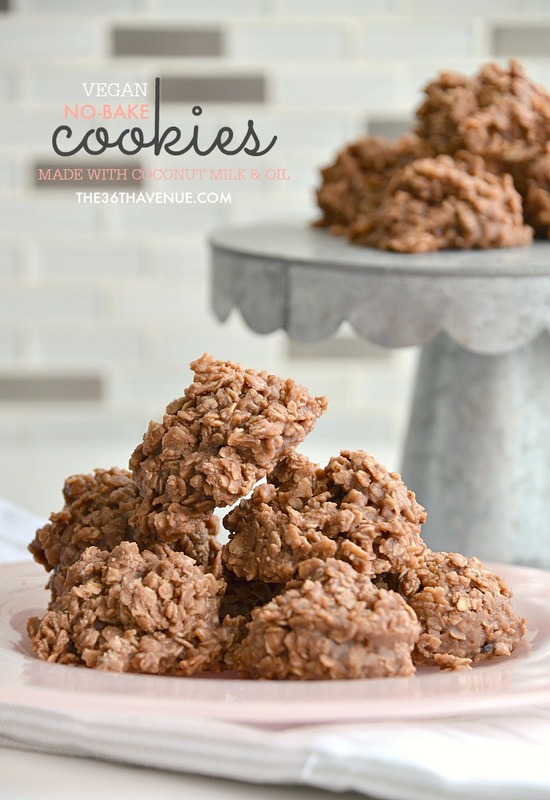 These No Bake Cookies are delicious, dairy free, vegan, and you can easily make them gluten free! Lately I’ve been experimenting making new recipes using coconut oil and coconut milk. 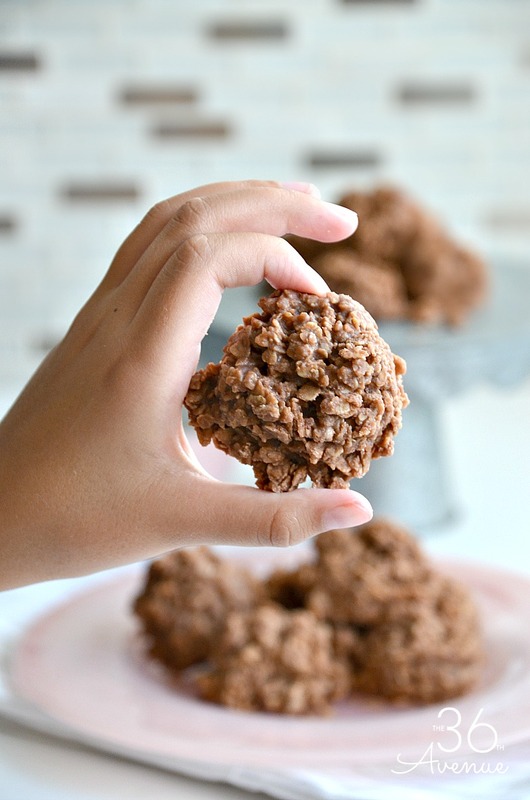 My family loves No Bake Cookies and I wanted to see if they could taste a difference between this new vegan recipe and my classic no bake cookies. After eating the entire batch and commenting on how amazing they were I told them that these were vegan cookies. They gave me two thumbs up and said that they thought I had used my old recipe . So vegan friends, this is good news for you. Everyone can enjoy this yumminess without compromising great taste and without the need for butter or milk! Slowly bring to a boil the sugar, butter, milk and cocoa. Stir often so the mixture does not stick to the bottom of your pan. Turn the heat down and add the vanilla, peanut butter. Mix together. Add quick oats. Stir 1 minute longer and turn off the stove. Immediately drop by spoonful onto wax paper or aluminum foil. The cookies will harden when they cool down. For gluten free use gluten free oatmeal. So, what are you waiting for? Make a batch right now and share it with your family and friends! 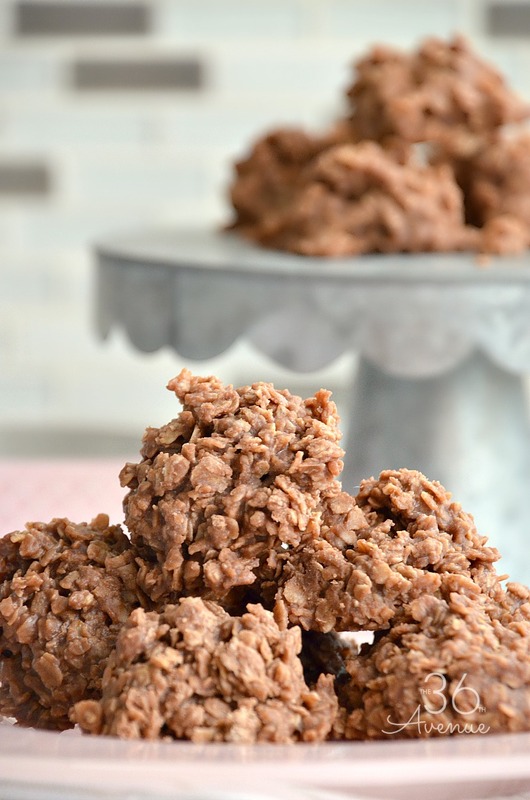 No Bake Recipes are the bomb! I’m always looking for easy recipes that my kiddos can help me make. 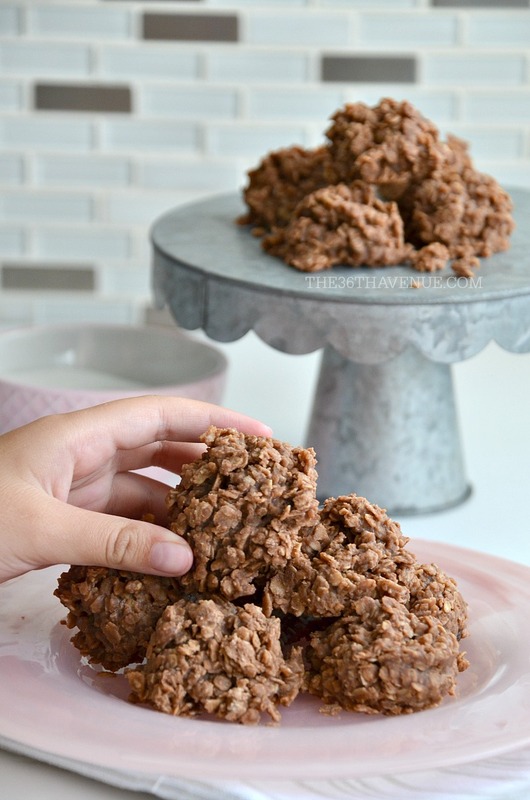 These No Bake Cookies and No Bake Bars are our favorite ones to make for Sunday Family Night. I always say I love everything and anything lemon and it’s true. Lemon desserts are so delicious and today I’m sharing The Best Lemon Recipes. These yummy treats are perfect for any occasion and for sure your family, friends, and neighbors will love them. Are you ready? These look and taste divine! Fall Recipes are my favorites! Last week I shared the best Pumpkin Recipes HERE and today I’m bringing to you the most delicious Apple Recipes around. Many of these baked goods, desserts, and apple drinks were linked up to our party and some of them come from my own kitchen. I am amazed by the talent that you can find in blog land! OK, enough talking lovelies, it is time to check out the goodies!